Maybe I’m around kids’ soft toys a little too often, but I swear there are some toys that have more personality that others. Take these cool cats (above) from H-luv. I don’t even like cats and these made me laugh out loud! Something about the expression on their faces accurately portrays that haughty air cats carry. And the fabric, particularly the floral, is a tad hilarious. My other favourite by H-luv is the Sweet-faced Girls soft toys. And aren’t they just? Those innocent shawls, the pretty faces – the only thing sweeter is your little one carrying one around. They cost $65 each. 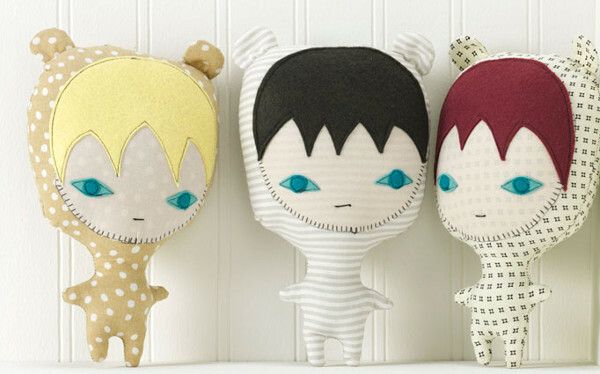 H-luv Fabrications by Heidi Iverson are handmade soft sculptures she described as “postmodern folk art”. Heidi uses scrap, upcycled and repurposed fabrics, along with durable linen and wool felt, to create her gorgeous inventions. With Australia in the grip of an owl craze, H-luv’s owls are sure to be popular. 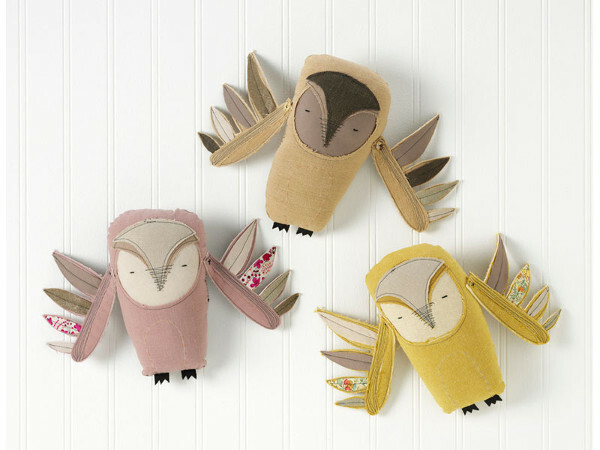 With their unique fabric feathers and textured details, these owls are sure to have a competitive edge over others. H-luv is stocked all over the world, but in Australia you can find it at Sofofo.